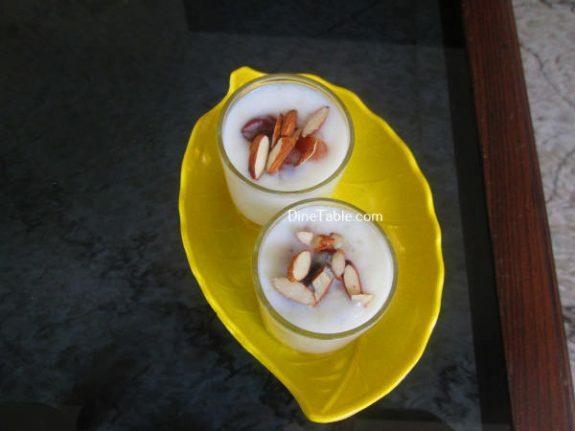 Sago payasam is an easy to make Onam payasam. It is so simple and requires very few ingredients. Sago does not offer any significant quantity of vitamins or minerals. 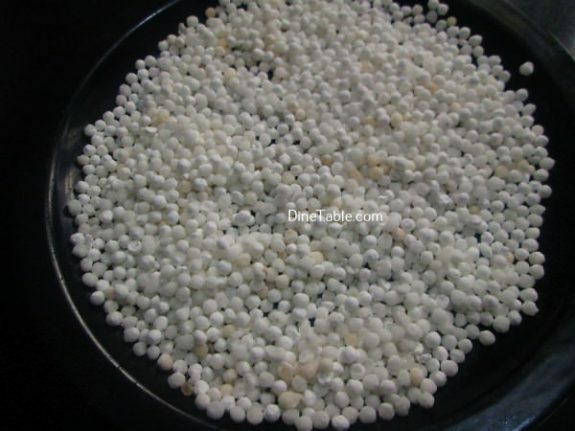 As a starch, the health benefits of sago come primarily from carbohydrates. 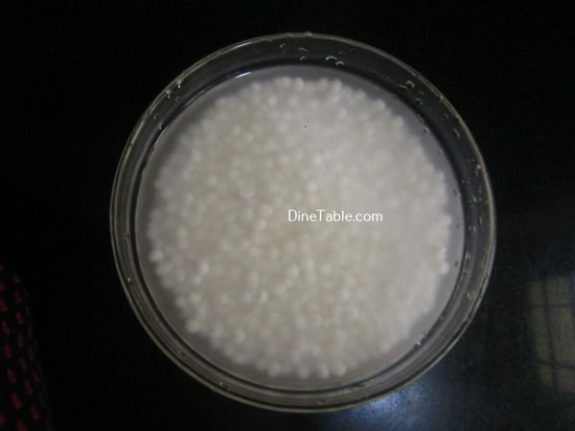 This carbohydrate content allows sago to function as a staple food in several regions of the world. 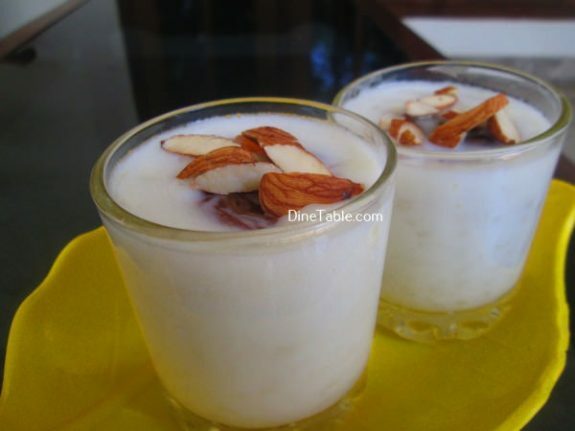 Sago is one food which possess a high cooling effect in the system and it is quite easy to digest. 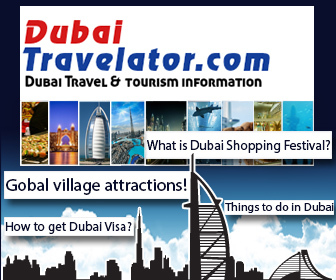 It is also used in making cakes and breads. 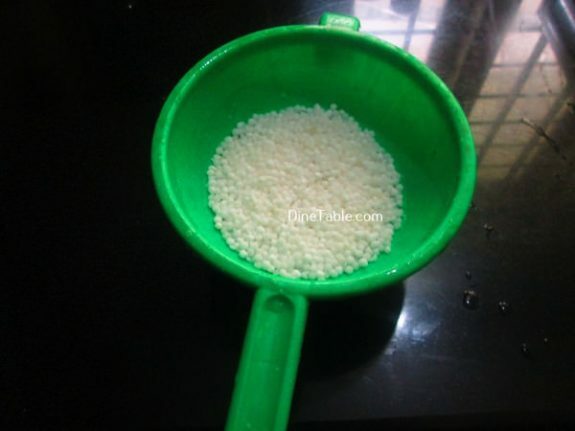 Sago is helpful as a substitute in binding the dishes or making them thick. It is low in calories and is preferred as a light meal option. 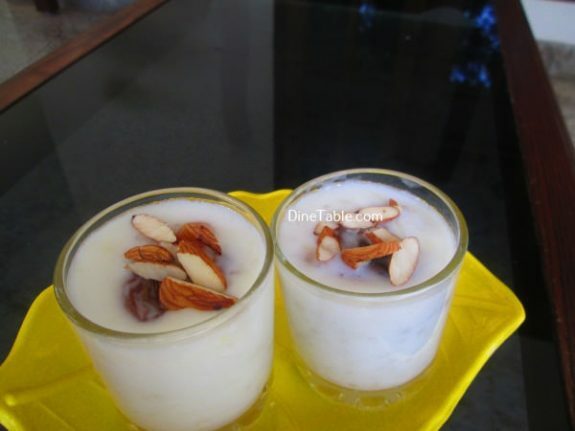 Try this yummy payasam at home. Heat a wide bottomed vessel and boil water. 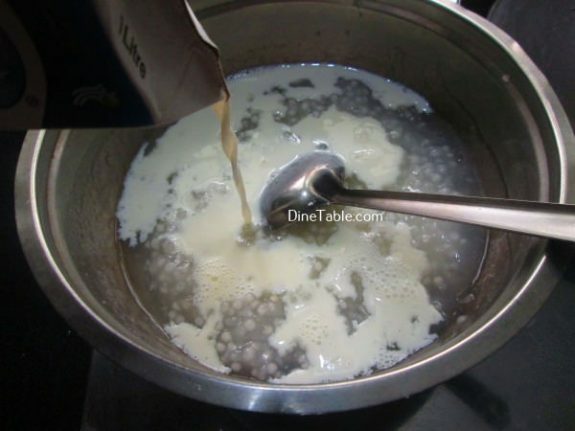 Then add sago to boiling water and cook on low flame until sago turns completely transparent and soft to touch. 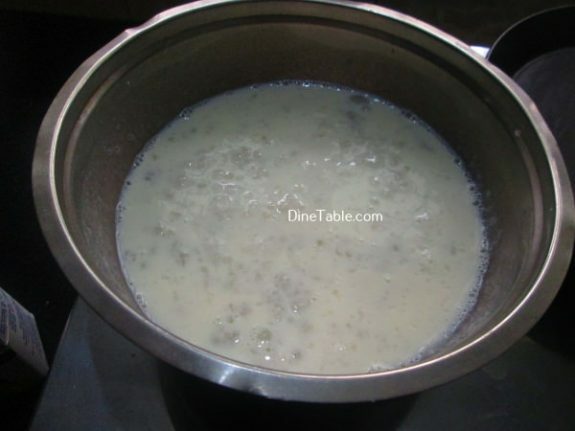 Add milk into it and cook on a low flame. Stir occasionally. When it starts to thicken, add cardamom powder and sugar into it and mix well. After 3 minutes, switch off the flame. Heat 3 tsp of ghee in a pan and roast cashew nuts till golden brown and raisins till they puff up. 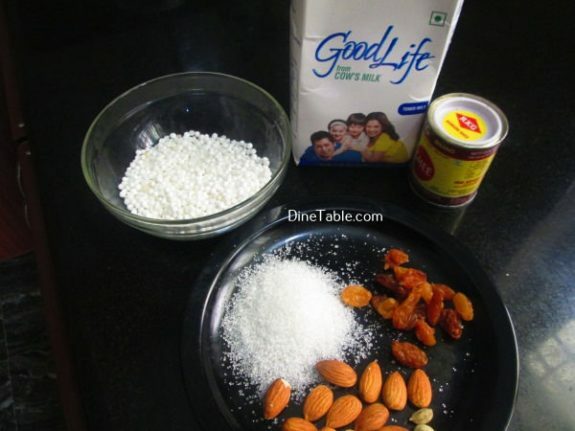 Add this along with the ghee into the payasam. Switch off the flame. 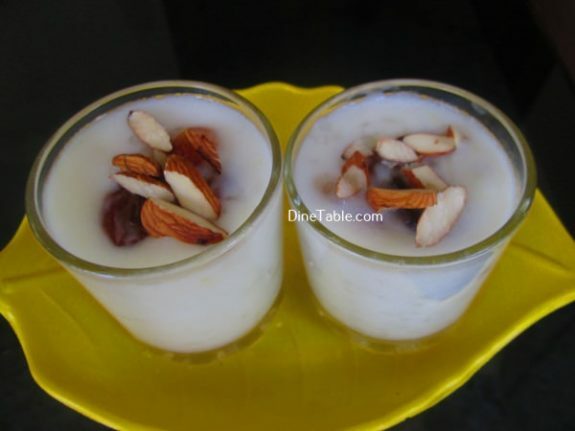 Decorate with chopped badam. 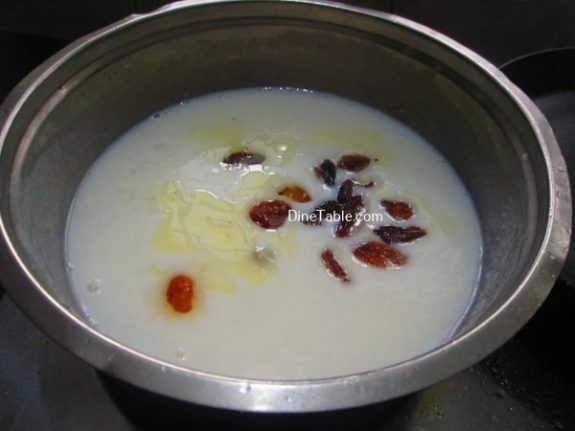 Tasty Chowari Payasam is ready.